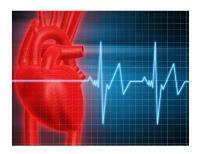 Resveratrol’s heart health benefits pinpointed? By Stephen Daniells Resveratrol – a compound in red wine – may be influencing both blood vessel function and the function of fat cells, say new studies which may help explain its heart health benefits. Two studies published in the American Journal of Clinical Nutrition report that red wine appears to have a direct effect on the health of the cells lining blood vessels, while resveratrol may also influence the function of fat cells, and reduce the risk of developing conditions related to obesity. The results were welcomed by Evi Mercken and Rafael de Cabo from the National Institute on Aging at the National Institutes of Health. In an accompanying editorial in the AJCN, the NIH scientists said “the potential effect of resveratrol in preventive medicine and treatment of metabolic diseases cannot be overlooked”. They called for well-designed human trials to further explore the potential benefits of red wine and resveratrol. …the researchers noted that the number of EPCs increased, as did the production of nitric oxide, which plays a key role in relaxation of blood vessels (vasodilation). Resveratrol, a powerful polyphenol and anti-fungal chemical, is often touted as the bioactive compound in grapes and red wine, and has particularly been associated with the so-called ‘French Paradox’. The phrase, coined in 1992 by Dr Serge Renaud from Bordeaux University, describes the low incidence of heart disease and obesity among the French, despite their relatively high-fat diet and levels of wine consumption. Interest in the compound exploded in 2003 when research from David Sinclair and his team from Harvard reported that resveratrol was able to increase the lifespan of yeast cells. The research, published in Nature, was greeted with international media fanfare and ignited flames of hope for an anti-ageing pill. According to Sinclair’s findings, resveratrol could activate a gene called sirtuin1 (Sirt1 – the yeast equivalent was Sir2), which is also activated during calorie restriction in various species, including monkeys. Since then studies in nematode worms, fruit flies, fish, and mice have linked resveratrol to longer lives. Other studies with only resveratrol have reported anti-cancer effects, anti-inflammatory effects, cardiovascular benefits, anti-diabetes potential, energy endurance enhancement, and protection against Alzheimer’s. In the first study, researchers from the Israel Institute of Technology report that red wine may boost heart health by effecting gene signalling in the cells in the lining of blood vessels that contribute to healthy cardiovascular function. The Israeli research focussed on cells called endothelial progenitor cells (EPCs), which contribute to the healthy maintenance of the cells lining blood vessels (endothelial cells). After 21 days of consuming 250 mL red wine per day, the researchers noted that the number of EPCs increased, as did the production of nitric oxide, which plays a key role in relaxation of blood vessels (vasodilation). In the second study, also published in AJCN, scientists from the University of Ulm in Germany report that resveratrol may have a direct impact on the mass and function of fat tissue. A cell study using pure resveratrol (Sigma-Aldrich) found that the effects were partially linked to the Sirt1 gene. Data showed that fat production in the cells was inhibited by exposure to resveratrol. “Our findings open up the new perspective that resveratrol-induced intracellular pathways could be a target for prevention or treatment of obesity-associated endocrine and metabolic adverse effects,” wrote the researchers. Next post: Cholic cure found in probiotics?